The City of North Port is found in Sarasota County, Florida and has a population of just over 60,000 residents. It belongs to the North Port-Bradenton-Sarasota Metro area, which has a much larger population. Along with the regular population, the area does host many visitors every year, especially from January through March. Sarasota County has a larger population of close to 400,000 residents and covers more area. It sees a number of visitors every year, as well, due to the beaches and attractions found throughout the area. The mixture of regular residents, snowbirds and visitors causes the roads to be packed with different driving styles, especially during peak season. Many major roads serve the area including Interstate 75, US 41, US 301, State Road 789, State Road 758, State Road 780 and many more. The section of I-75 found in Florida is known as the 15th deadliest highway in the United States. Over 180,000 vehicles use I-75 each day. A section of I-75 runs directly through the North Port area. Traffic accidents in both North Port and Sarasota County are on the rise. If the authorities in the area didn't monitor the traffic and the roads, these stats would be far worse. Throughout Sarasota County, nearly 35,000 traffic tickets were issues in 2015. Out of these tickets more than 15,000 were for speeding, while nearly 5,000 were for careless driving. Another 4,600 drivers were caught running a red light by a red light camera, as well. Judges only dismissed about 4% of the total number of traffic tickets issued in the county. This means, your chances of getting out of a traffic violation are very slim. It will only take a few tickets to end up with too many points and have your driving privileges revoked. If you receive 12 points over a 12 month period, you will lose your license for 30 days. When you reach 18 points in 18 months, that suspension goes up to 90 days. If you happen to accumulate 24 points in 36 months, you will have to go an entire year without your license. Some drivers don't take a license suspension very serious. However, if you decide to driver on a suspended license, you may face up to a $500 fine and 90 days in jail. It's better to avoid points on your license and keep your driving privileges. The basic driver improvement course is offered through online traffic school to help you keep the points from your most recent ticket off your license. You can enroll and take the course right online from your home. Start by paying the ticket with the clerk of the court for the county. 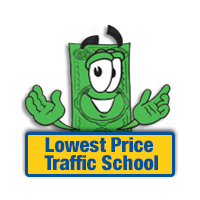 Make sure you inform them you will be enrolling in traffic school online. Turn in your certificate of completion to the clerk of the county. That's all it takes to keep points off your license. In addition to helping you avoid license suspension, traffic school will help you to keep your insurance rates from going up. 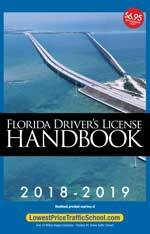 Drivers with a Florida driver's license are allowed to use the basic driver improvement course to avoid points on their license up to 5 times. However, drivers can only take the course once every 12 months. As long as you haven't taken the course in the past 12 months or 5 times already, you're eligible. If you get a ticket in the North Port area, the Sarasota County Clerk of the Court will be the one handling your payment and any information you need. From court dates to turning in your certificate from traffic school, the clerk of the court will take care of it all. Find out more about the Sarasota County Clerk of the Court by visiting the website.